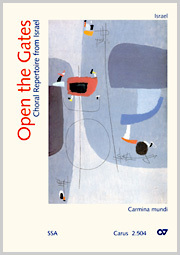 11 original compositions for women's choir from Bolivia, Brazil, Colombia, Chile, Costa Rica, Cuba, Guatemala, Mexico and Venezuela. 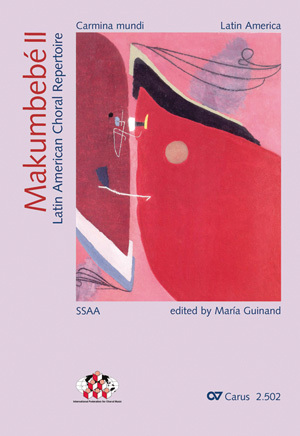 Choral arrangements of folk songs to traditional tunes, giving an impression of the multiplicity of rhythms and styles which are alive today in Latin America. The choral collection reflects the diversity of rhythms and styles of the popular and folk music of South America. Today choral singing in the majority of the Latin American countries is strongly related to music that originated from popular sources and folk traditions. 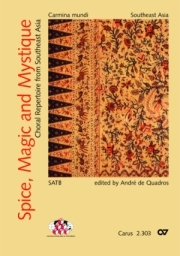 In the 20th and 21st centuries, the new languages of choral composition have not only derived from the main contemporary musical trends, but also from the impact of nationalism, which is characterized in Latin American regions by the richness and wide variety of elements that are essential to our folk music. Most of the South American choirs began by singing the traditional music in parts and later on by studying more complex repertoires. That is why the new collection is centered around a selection of excellent choral arrangements and choral versions of popular and traditional melodies. 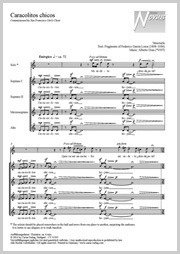 These works have been written and arranged by well-known composers, conductors and teachers who have dedicated most of their lives to choral music. This collection is accompanied by a CD recorded with the "Cantoria Alberto Grau" with very colourful instrumental arrangements created by Albert Hernández and interpreted by him and Luimar Arismendi. Die Ausgabe macht Lust auf die musikalische Vitalität Lateinamerikas und erweitert unseren Chorhorizont.